Very Flowery Floral Pattern | Free Photoshop Pattern at Brusheezy! 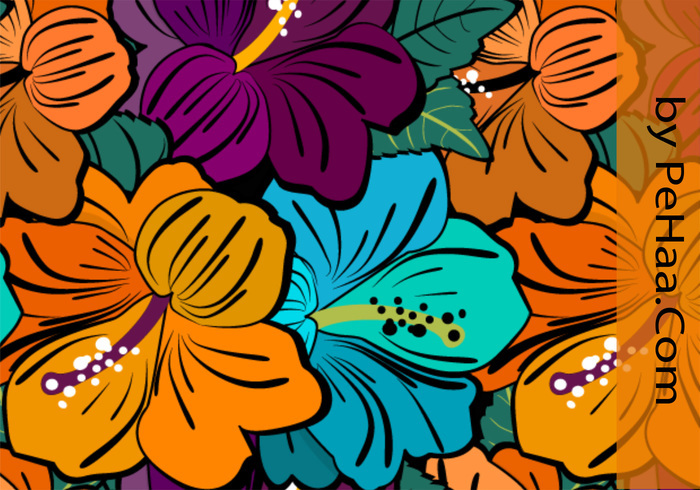 Very Flowery Photoshop floral pattern files (Hibiscus theme). This floral pattern is free for both personal and commercial use. Visit author's site to download CS2+ Ai pattern swatches. So fun! I can't wait to use. Thanks! These are quite beautiful! Great work! Very beautiful and colorful... Thanx! Ахуенный ресурс, данке шён Вам!! n!ce Very Flowery>> Thank . . .
How can I use this in photoshop elements? I call it "kembang sepatu meriah". so colorful and passionate!